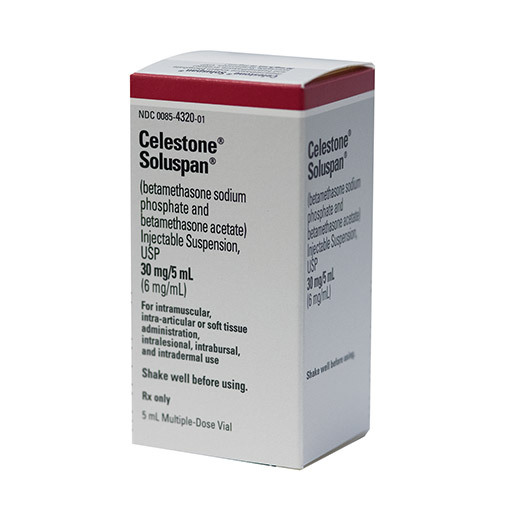 Injectable corticosteroid Celestone Soluspan 30mg (6 mg/ml), in a 5mL multi dose vial. 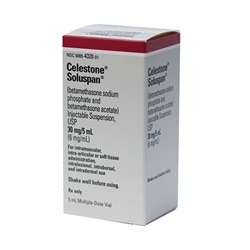 Generic name is Betamethasone acetate, sodium phosphate. NDC: 00085-4320-01. Manufactured by Merck. Comes as singles.